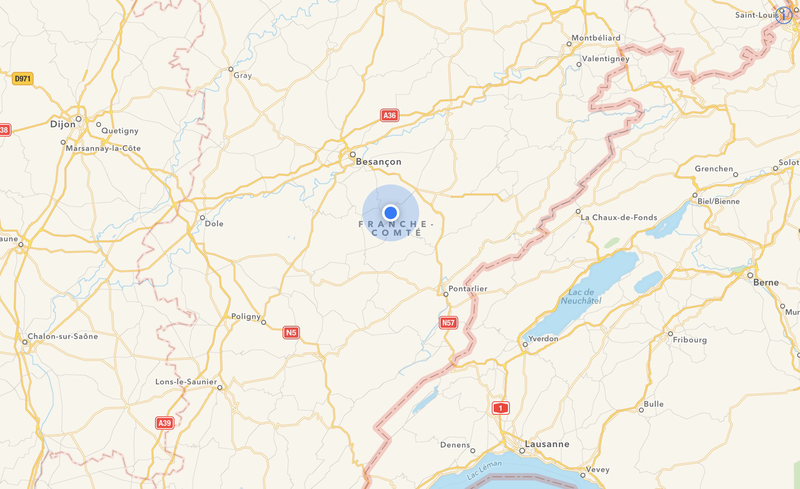 We arrived near the town of Ornans in eastern France, home of the famous artist, Gustave Courbet, (me neither!). 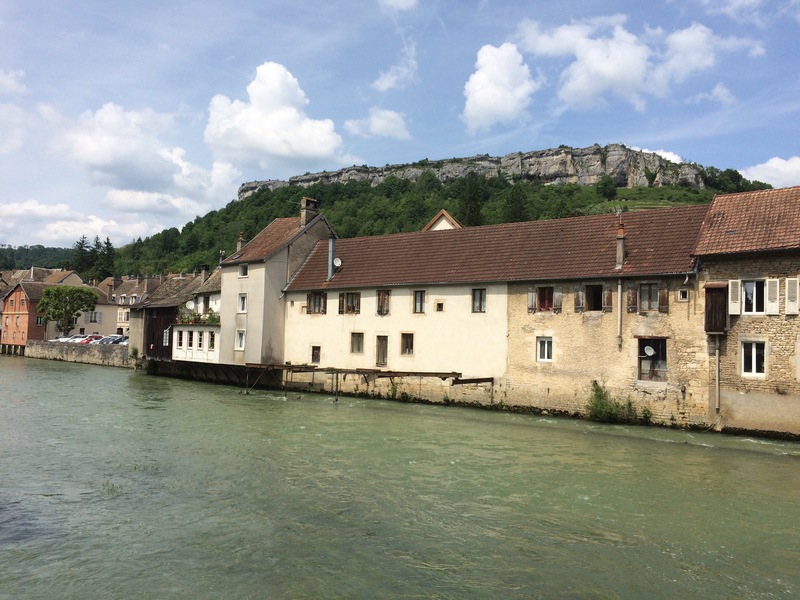 The town was bisected by the river Loue. 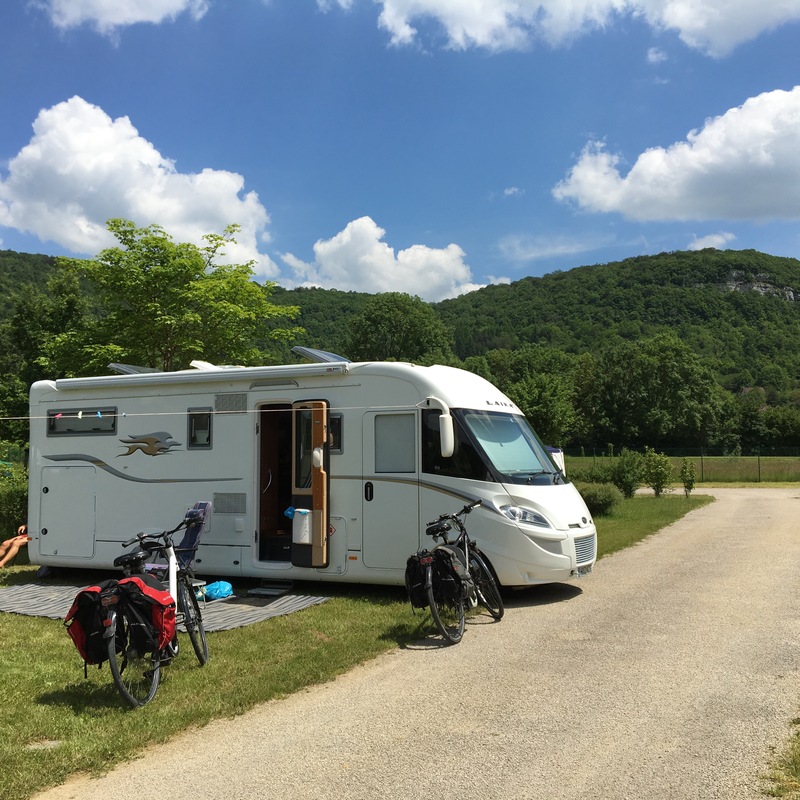 We were in the Jura Mountains and the scenery was beautiful and, at last, the sun was shining – but not for long as our weather app showed rain coming later in the week. There was a restaurant on site and we enjoyed a tasty, home cooked meal sitting outside with the evening sunshine warming our backs. This time we paid €50 for a starter each, two main courses and a dessert plus a bottle of rosé. I had steak tartare and Tony had trout, everything was freshly cooked from local ingredients.